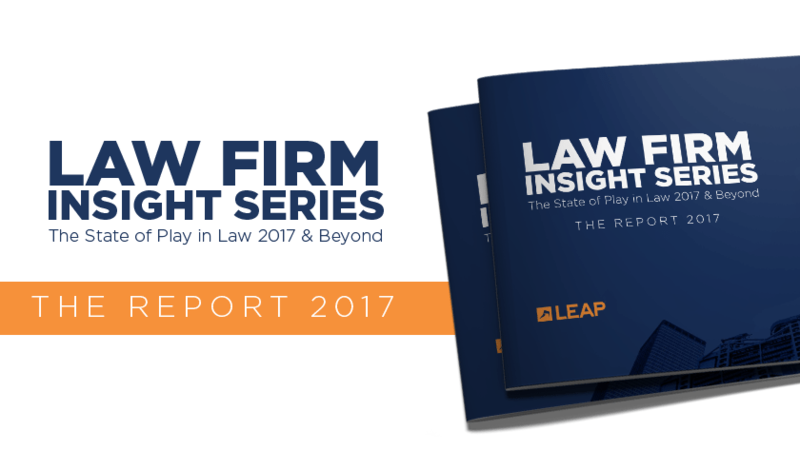 LEAP recently surveyed legal professionals to gauge what is happening in the legal industry and what is important to them. The State of Play in Law 2017 & Beyond survey was open for three weeks and closed on 4 October. During the final quarter of 2017, we wanted to explore the challenges, opportunities and trends that are top of mind for law firms in Australia. Our aim is to provide an avenue for legal professionals to share their thoughts, opinions and advice on the sector. Our respondents represented the roles of: Principal, Lawyer, Office Manager, Paralegal, Financial Controller and IT Systems Engineer. We surveyed a variety of firms: firms which specialise in areas of law, firms that offer multidisciplinary services, with varying number of employees, and with office locations in single or multiple cities. The Report 2017 looks at the current legal environment in Australia and the challenges and opportunities that face legal practitioners. The report presents some insight to the industry trends that will impact law firms in the next twelve months.